It was exhilarating to watch US President Donald Trump, at his press conference with Israeli Prime Minister Benjamin Netanyahu, refuse to parrot the tired, irrational, dangerous mantra that a Palestinian state is the only option for peace. Instead, Trump wisely spoke about real peace; creative solutions; ending the Palestinian-Arabs’ teaching of “tremendous hate” to their children in their schools; and the essential requirement that the Palestinian-Arabs recognize the Jewish state. The truth is, however, that irreconcilable, diametrically opposed differences between Israel and the Palestinian Authority (PA) have long made it clear that the creation of a Palestinian-Arab state is an impossibility. For example, the PA demands control, at a minimum, of all of east Jerusalem – while Israel requires that the entire city remain united under Israeli sovereignty. The world needs to understand that Jerusalem is not even holy to Muslims. It is never mentioned in the Quran; it is mentioned 700 times in the Jewish holy books. No Arab leader, except Jordan’s King Hussein, ever visited Jerusalem when Arabs controlled it from 1948-67. Jerusalem has never been the capital of any country except Israel. Still another irreconcilable issue is that because a Palestinian state deal asks Israel to give up irreversible tangibles (i.e., land) for intangible peace promises, Israel needs partners who keep their promises. The PA demands that every Jew must be ejected from their future state, meaning the 800,000 Jews in east Jerusalem-Judea-Samaria. That will never happen. The PA also insists that millions of descendants of so-called Palestinian “refugees,” created by the 1948 Arab war to destroy Israel, be allowed to move to Israel (Even though there are only 40,000 actual refugees from 1948 living today). Every Israeli government, from Left to Right, unequivocally rejects this, because it means overwhelming Israel with a hostile population and ending Israel as a Jewish state. The PA also demands a “contiguous” state that connects Gaza to Judea-Samaria, thereby cutting Israel into two separate pieces. Israel obviously cannot agree to this demand either, if Israel wishes to remain in existence. The PA refuses to agree to Israel’s basic demand for recognition as the Jewish state. To top off all of the above, the PA refuses to sign a peace deal that “ends all claims” against Israel. Israel understandably cannot agree to any agreement that does not include such a clause. Another irreconcilable PA demand is that Israel must free all Palestinian-Arab terrorists in Israeli jails. Of course, Israel won’t release thousands of unrepentant convicted murderers and attempted murderers. Israel also requires that it continue the legal Gaza weapons blockade, but, the PA says it will never accept this. 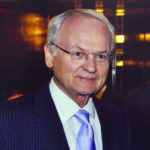 Similarly, as Netanyahu explained in 2009 during his speech at Bar-Ilan University, any Palestinian-Arab state needs to be “demilitarized” – meaning that it cannot have an army, control its airspace, forge military pacts with the likes of Hezbollah and Iran, and import weapons, and must be subject to strong measures to prevent weapons smuggling. The PA opposes all of these Israeli security requirements. Still another irreconcilable issue is that because a Palestinian state deal asks Israel to give up irreversible tangibles (i.e., land) for intangible peace promises, Israel needs partners who keep their promises. But the PA broke its repeated Oslo and other agreements to combat and stop inciting terror, collect illegal weapons, outlaw terrorist groups and preserve and provide Jews access to Jewish holy sites in PA territory. Finally, the PA’s unrelenting goal is to destroy and replace all of Israel with a Palestinian-Arab state that no Jews can step foot in. This goal is clearly laid out in the PA ruling party Fatah Charter and in PA President Abbas’ speeches condemning the Israeli “occupation” since 1948 – and in the PA maps, stationery, official emblems, stamps, media and atlases showing all of Israel as Palestine. The PA leadership assures its people that any concessions it obtains are “stages” towards their final goal of destroying the Jewish state. Additionally, the PA is politically aligned with Hamas, whose charter calls for Israel’s destruction and the murder of every Jew. Israel cannot agree to commit suicide – or give the PA a stronger base for advancing the Palestinian-Arab “struggle” for Israel’s total annihilation. 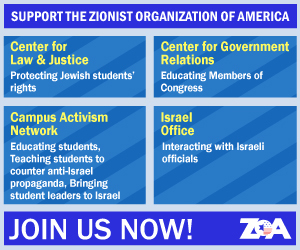 Morton A. Klein is President of the Zionist Organization of America.